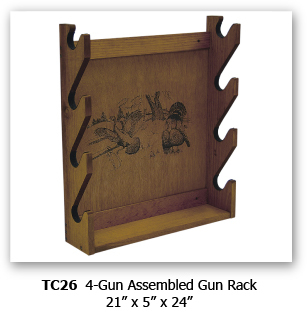 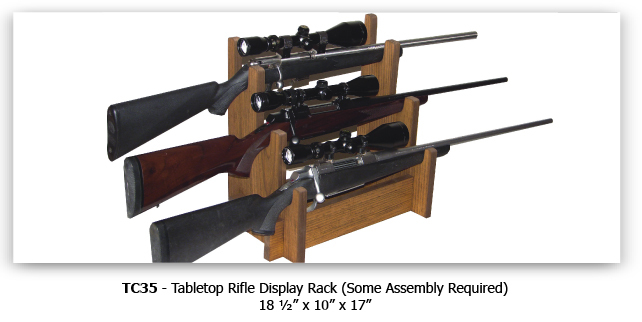 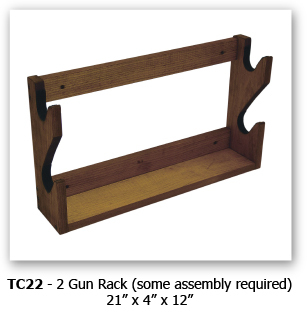 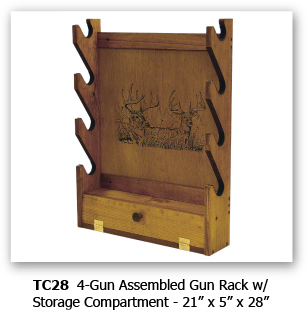 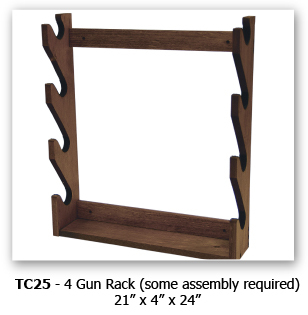 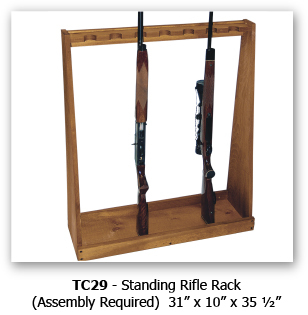 We offer a standing rifle rack made of solid pine that holds seven rifles and several different wall mount racks. 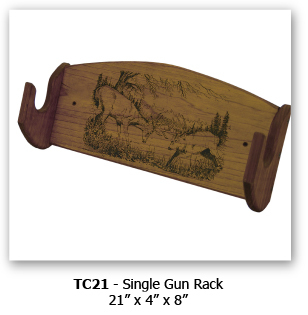 Screen prints available on models TC21, TC26, and TC28. 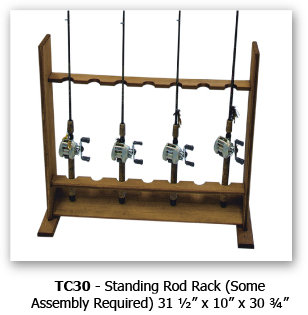 The standing rod rack holds seven rods with or without the reels attached.